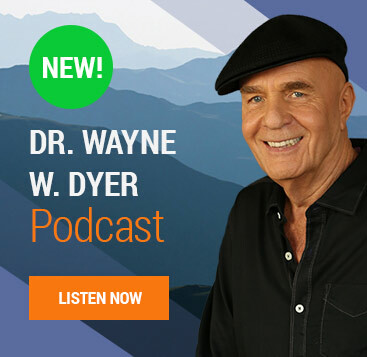 If you ask a person who is passionate about spiritual and self-improvement topics to name some of their favorite authors, odds are the name Dr. Wayne Dyer would fall near the top of the list. Many discovered him on a public broadcasting station (PBS) while flipping through the television channels, while others may have found themselves attracted to his work during one of his many television or radio show interviews. 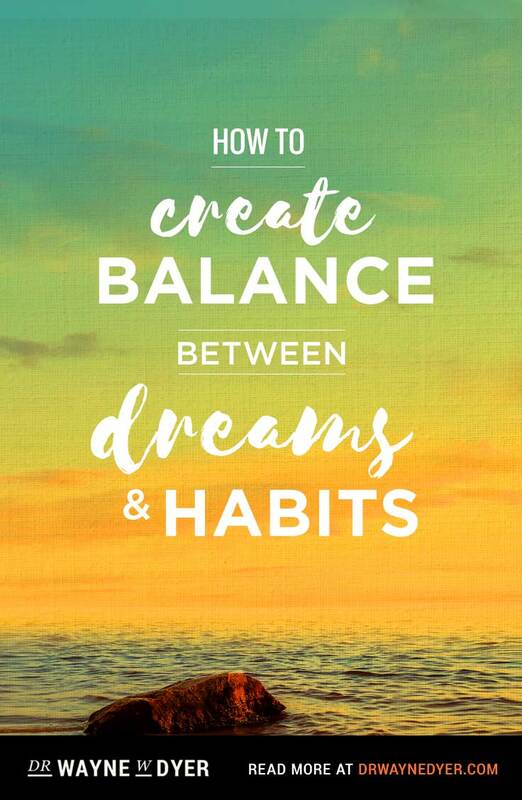 However, no matter how they came across the work of Dr. Wayne Dyer, the result is always the same — people’s lives are changed for the better. For more than 30 years, Dyer has inspired and elevated the consciousness of millions all over the world, assisting them in shifting their awareness to a higher level. But like all of us, Dyer has faced his own share of challenges and obstacles in life, such as growing up in foster homes and orphanages as a young boy, suffering the pain of divorce and battling addictions. However, rather than allowing these things to bring him down, Dyer found ways to lift himself up — and then set out to share them with the world. “Everything that shows up in my life, whether it’s leukemia, heart disease, divorce, being abandoned by parents, I see from the perspective of ‘It has something to teach me,’ and I guess I’ve just always done that my whole life,” he says. This year, Elevated Existence is honoring Dyer with its 3rd Annual Elevated Existence Spiritual Service Award, given to one individual each year whose actions, intentions and work spread the gift of spirituality, enlighten others with knowledge and tools to improve the quality of their lives, and contribute to the overall uplifting of the world’s consciousness. With every book, television special, interview or speech, Dyer does this and more. In the below interview, Dyer looks back on his life and how it shaped him into the man he is today. He also reveals the inspiration behind his newest book, “Wishes Fulfilled,” provides details about the new movie “My Greatest Teacher,” based on his real-life struggle to forgive his father — a man he never met — as well as advice on manifesting and so much more. Elevated Existence (EE): How do you think your early life set you up for what was to come, which is essentially helping others learn to help themselves? Dr. Wayne Dyer: I think there is a force in the universe that directs everything, and there are no accidents, anywhere. This divine force is what is growing our hair, growing our fingernails, beating our heart, digesting our food, and all of the other incredible mysteries that we look at and take for granted. My showing up on this planet and living for the first 10 years or so of my life in a series of foster homes and orphanages was all perfect. That is how I’ve always looked at it. I came here to teach self-reliance, and that is what I’ve been teaching since I was in grade school. I taught my brother, who lived this and went through this with me, to rely on himself. I taught him not to live in fear because he was scared and bullied a bit, and he was anemic. I always talked to him about relying on yourself and trusting in yourself. When you grow up without parents around you learn to rely upon yourself, and once you get that and understand that, no one can ever persuade you from it as you go through your life. EE: Tell us about your new book “Wishes Fulfilled.” What is it about? Dyer: “Wishes Fulfilled” is really based upon the teachings of three people — Neville Goddard, who passed away in 1972 and lectured back in the ‘40s, ‘50s and ‘60s; U.S. Andersen, who wrote “Three Magic Words;” and the teachings of the “I Am Discourses” of St. Germaine. It’s really a combination of all of those, and it’s the recognition that everything that now exists was once imagined. If you look around at everything you see, it was once imagined. It was once a thought in somebody’s mind and then it hardened into a fact. The No. 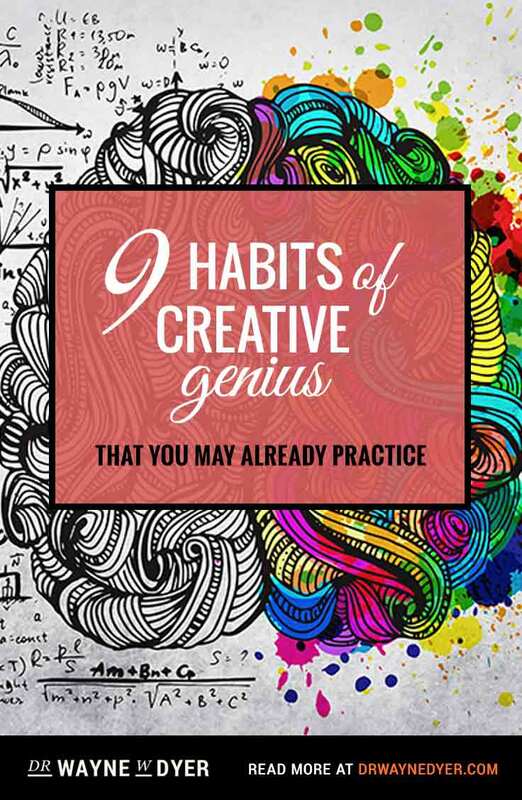 1 principle is that if you would like to be able to create something, you must first be able to imagine it, because everything that is created is first imagined. But that’s just the intellectual part of it. To understand something intellectually, you intellectualize about it, concentrate on it, come up with formulas about it, read books about it, hear other people’s opinions, and deduce things. You apply deductive reasoning, and then you come to a conclusion intellectually. But to understand something spiritually, you must experience it, and the only way you can experience it is to become it. So the practice of “I am” is to be able to assume the feeling of the wish already fulfilled. You do this with whatever it is you would like to attract into your life, whatever kind of person you would like to be or whatever you would like to manifest, as long as it’s aligned with source energy or God, and doesn’t interfere with anybody else’s right to do the same. You must be able to not only live from that place, but also be able to feel it, and that means feel it in your body and literally experience it. Somewhere in the Bible, it says, “He called things that do not exist, exist they did,” speaking about God and speaking about the highest place within ourselves. You have to be able to look at the world, ignore what your five senses tell you, and realize that the great truths are in the mysterious and the invisible. And also be able to place it into your imagination. In the Old Testament, in the Book of Joel, it says, “The weak say I am strong.” You must be able to say I am strong, and to feel that, and assume the feeling of that wish fulfilled, and never allow anything to take your attention away from what it is you would like to attract into your life — like someone telling you it can’t happen, or it’s not possible, or even what your senses tell you. Don’t slip into, “It’s not happening fast enough. I want it to come now,” and so on. You just have to be willing to ignore all of that and know that what you are imagining is your reality, and it will harden into a fact within divine time, as long as you don’t allow yourself to say, “Oh this isn’t going to work” or to put doubt into it. And that is where almost everybody falls down. They say, “I am strong,” and then they look at themselves and say, “I am sick.” You have to be able to say, “I am well,” regardless of what the monitor says, and what your doctor tells you, and even what your senses tell you. You have to live from that place. You cannot harden it into a fact until you’re able to live from that inner place. EE: Tell us about the new movie coming out based on your early life, “My Greatest Teacher.” Dyer: This movie is based on a signature moment in my life. I have told the story, and when I talked to the people at Hay House who are doing a series of shorter films on things about the miraculous, they wanted to film it. I’ve told the story over the years about trying to find my father and all the miracles that took place, which eventually sent me to his grave. Before that, in 1974, I was 34 years old, and I was filled with rage, hatred and anger toward this man. I used to dream about him all the time, and I was just out of sorts. I was drinking, overweight and so many things were just not working in my life. My writing wasn’t going the way I wanted it to, my relationships were terrible, and I was eating awful foods and drinking. Then I ended up at my father’s grave through a series of mystical events, which are impossible to describe or to have any logic behind them, but all of it was true. I ended up being sent to my father’s grave to forgive him. It was that act of forgiveness that changed my life. The reason it was a turning point in my life is, right after I left my father’s grave in August 1974, I rented a motel room and wrote a book called “Your Erroneous Zones,” in 14 days from beginning to end. I just handwrote the whole thing, and it went on to become a worldwide best-seller, and still is to this day. Everything in my life changed after that because I got the rage out of my heart, and I filled it with love. I sent love to this man who I previously had always sent hatred toward, and when you fill yourself with love, you become aligned with your source. You become aligned with God, and that alignment is what I think made all the shifts in my life. I stopped feeling sorry for myself, and stopped the destructive habits that I had. I stopped drinking, eating greasy foods, and began to change my life around dramatically. Almost everything I wrote after that became a best-seller. 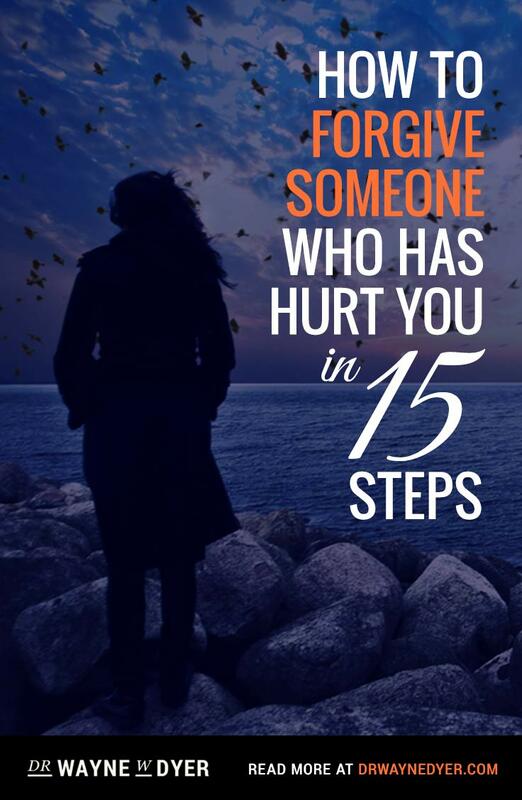 Mark Twain says, “Forgiveness is the fragrance that the violet sheds on the heel that has crushed it.” It’s the ability to send love when someone sends you what you think of as hatred or shortages, or whatever it may be. 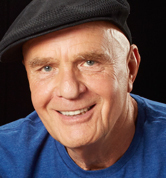 For the full interview with Dr. Wayne Dyer, who is the cover story of Elevated Existence Magazine’s December 2011 issue, visit http://www.elevatedexistence.com/elevated-existence-december-2011-issue. 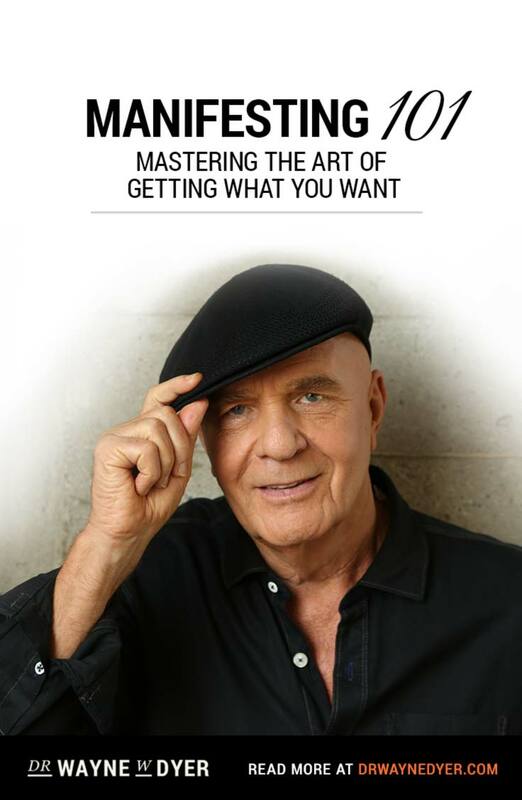 To see a copy of the award letter, visit Wayne’s Facebook page at www.facebook.com/DrWayneDyer.